February 2019 is #DENTALMONTH! 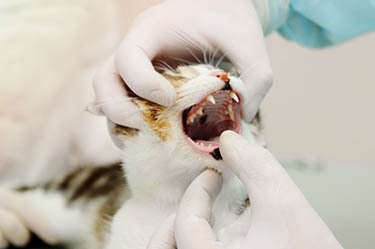 This means all month long we will be offering educational information to keep pet owners informed on the importance of dental care of their fur child. That being said, North Orange Animal Hopsital is also offering special discounted services! 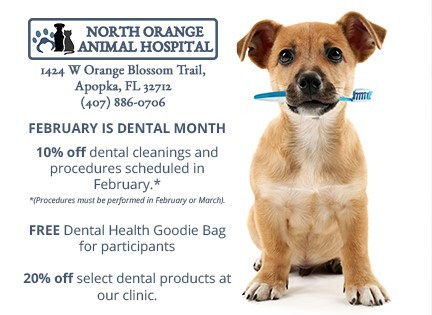 THIS MONTH ONLY call us at 407-886-0706 to schedule your pet’s dental procedure for February or March and receive a discounted service. 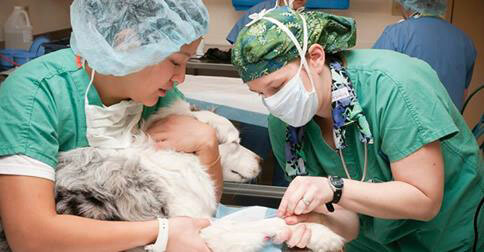 We want to help keep your pet smiling bright, and can’t wait to see you at North Orange Animal Hospital!